A woman was forced to hand over a substantial amount of cash after two robbers wearing balaclavas broke into her Northamptonshire home. The robbery happened at a house in Willoughby Road, Kilsby, at about 6.45pm on Tuesday, March 10. Once inside the property the two men demanded that the woman give them a substantial amount of cash. They then fled, leaving the woman in the property. 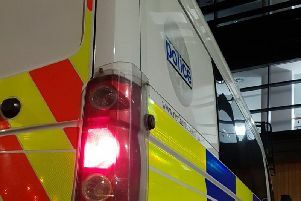 Detective Inspector Philip Mills, who is leading the investigation, said: “Incidents like this are fortunately very rare, but this was a nasty robbery which has obviously left the victim very shaken. A police spokesman said the two men have been described by the victim as aged between 20 and 40 and possibly may have had eastern European accents. One was between 5ft 6in and 5ft 7in while the other was between 5ft 9in and 5ft 10in. Witnesses, or anyone with any information about this incident, can call Northamptonshire Police on 101.